Fifteen businesses in the community will offer paper straws instead. Fifteen businesses in Deep Cove are launching what they're calling "the last straw" campaign in an effort to cut down on one-use plastics. The businesses will no longer offer plastic straws, but will keep paper straws behind the counter for people who request them. 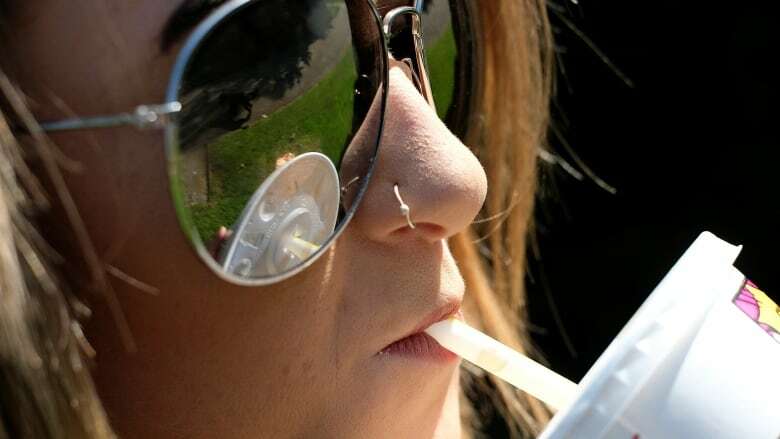 Megan Curren, a Deep Cove resident and merchant, said that despite the fact that paper straws cost five times more, businesses have been enthusiastic about the initiative. "Everyone's proud that this is happening," she said. "We are surrounded by the ocean here in the Cove, and when I started doing more research and started learning about the impact single-use plastics have, I just felt like I had to do something," she said. "In our community, because it's getting busier and busier, the amount of waste we were generating was obscene." Curren said she recognizes that some people might require the use of straws, and that all businesses will accommodate those people. Alison Wood of Ocean Ambassadors Canada said she's spent years on paddle boards off Deep Cove and notices plastics floating on the water's surface every time. She said plastic straws are a good first step toward reducing single-use plastics. "We know that straws are always in the top 10 items found during beach cleanups," she said. "Over the last six months we've worked with each of the merchants to make sure this initiative will work for them in the long term, that it's just not a short-term thing. Wood said she's already planning to bring the straw ban to a second community in the Lower Mainland.